Hello everyone. 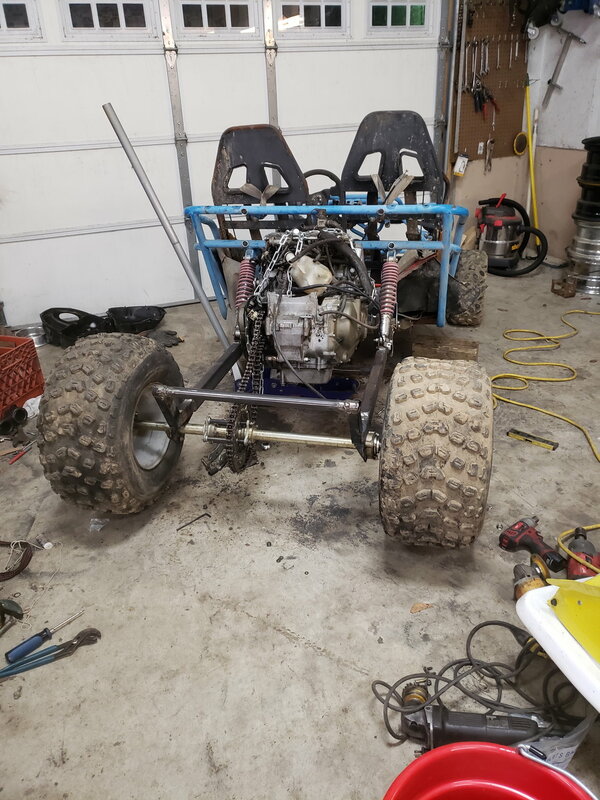 I'm in the process of building an f4i powered go kart and I had the bike running before I disassembled it. It was a wreck I got from a tow lot. I just plugged the harness back up and it will not turn over with the start switch. When I jump the starter I have no fire. Guage and everything are on. I've got all the safeties dummied and I'm using the diode for the pink safety wire... Help! You may have to study the wiring diagram for the bike. There are clutch, side stand, kill switch and neutral lock outs. ^^^^ what this guy said! Didi you hook the diode up properly? It can only go ONE direction (if you are using factory ignition, ur good to go). The ecu requires afew things to allow spark. First it can't have any disconnected injectors or coils, or I believe it causes a no start condition. Tip sensor requires the outside wires to be jumped, Green and Red/White tied together, White/Black just terminated. Do you have a gauge cluster for the setup? If so, it would help diagnose you diagnose much easier. You could see if its throwing any codes.